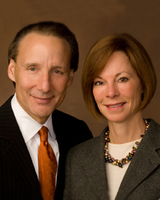 Pat and Lindy Salvi of Chicago, IL purchased a 100% stake in the Gary SouthShore RailCats in April 2008. A lifetime baseball aficionado, Mr. Salvi decided it was time to enter the world of minor league baseball and purchased his first team, the Gary SouthShore RailCats, in 2008. After finding much success with the RailCats, including reaching the playoffs in each of his first three seasons, Mr. Salvi expanded his enterprise to include a 100% interest in both the Schaumburg Boomers (Frontier League) and the North Shore Navigators (Futures Collegiate Baseball League). Under Mr. Salvi’s leadership and direction, the mission of Salvi Sports is to combine family, fun, and baseball to provide an exceptional level of affordable family entertainment in a safe and enjoyable atmosphere. This will be the RailCats 17th season in the league. Pat Salvi is the managing equity partner of the prominent Chicago personal injury law firm, Salvi Schostok & Pritchard, P.C. He attended Saint Mary’s University in Winona, Minnesota where he received his Bachelor's degree, and then received his Juris Doctorate from the University of Notre Dame. He has published numerous articles in law journals, lectured at legal seminars, taught classes at universities such as Northwestern, Harvard and Notre Dame. He currently teaches as an adjunct professor at Notre Dame Law School. Mr. Salvi is one of the most prominent attorneys in the country, consistently recognized with “Best Lawyers in America”, “Illinois Super Lawyers”, and “Leading Lawyers.” He has also been named as one of the top ten lawyers in Illinois for three years in a row by his peers in a survey by Illinois Super Lawyers. He currently serves on the Board of Trustees at Saint Mary’s University and is the Law School Advisory Council Chairman at the University of Notre Dame. Mr. Salvi also serves as the Director of the RailCats as its representative with the American Association of Independent Baseball. Salvi Schostok & Pritchard, P.C. represents victims in personal injury, medical malpractice and wrongful death cases. Lindy Salvi graduated from Saint Mary’s College in South Bend with a nursing degree, meeting Pat while at school. Along with raising their five sons, Lindy became an active community volunteer. She has been involved as a member, committee chairperson, board member and chairperson with School of Saint Mary of Lake Forest, Junior League of Evanston-Northshore, Carmel Catholic High School, Misericordia Heart of Mercy Homes, St. Patrick Church, Lake Forest, IL, and Holy Name Cathedral, Chicago, IL. She currently has a practice teaching AntiGravity Fitness. The Salvi family is excited and thrilled to be part of the Northwest Indiana community and to lead the RailCats to another outstanding season in 2018. Go RailCats!